A key program in Eton Academy's Upper School is the mentorship program. Upperclassmen are paired with freshmen to help them navigate how the Upper School works, and build leadership skills. 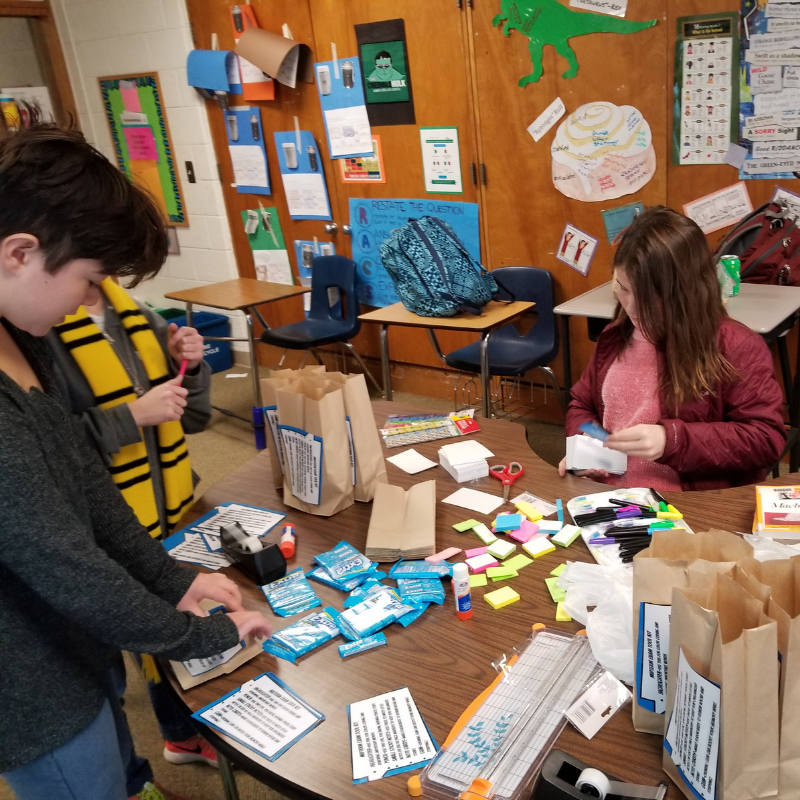 The student mentors put together study tool "goody bags" which were distributed last week at the Mentor-Mentee meeting. Inside the bags were various supplies like sticky notes, pencils, highlighters, note cards, and chewing gum. The mentors went through the items with the freshmen and explained how to use each strategy effectively as they prepare for exams. Additionally, the in Eton Essentials class, sophomores created exam advice posters which were displayed during the meeting. The mentors read through and discussed them with the freshmen and used them as a conversation starter for how to best prepare for exam week.